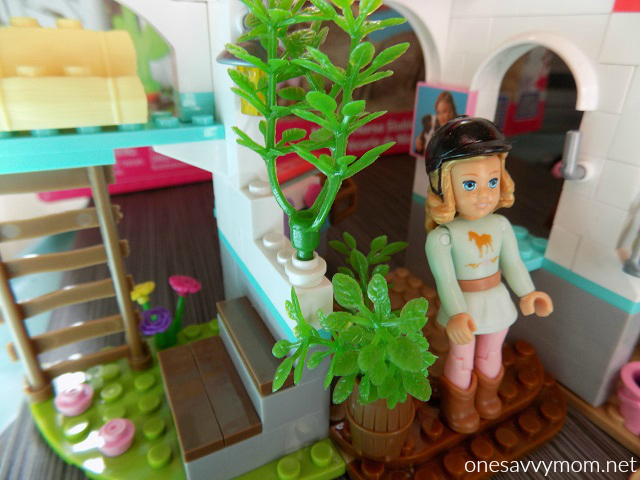 One Savvy Mom ™ | NYC Area Mom Blog: Check Out The New American Girl Building Sets By Mega Bloks! Check Out The New American Girl Building Sets By Mega Bloks! 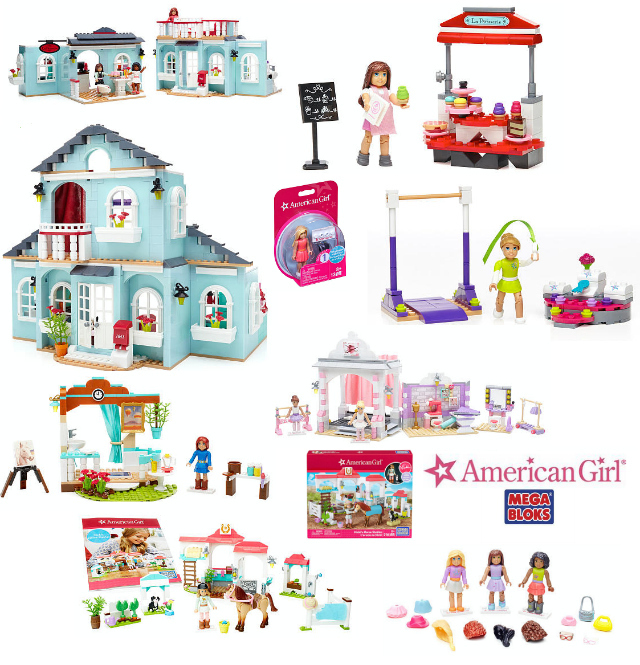 American Girl has a brand new line of building sets by Mega Bloks! These fun construction sets feature characters from American Girl's popular Girl of the Year (GOTY line, and scenes from their individual storylines. My daughter is absolutely loving all of the creative play and building fun packed into each set! Read on for more details on where you can find the American Girl Mega Bloks sets and to check out pics of ALL of the American Girl Mega Bloks building sets that are currently available. The Mega Bloks American Girl building sets and mini figures that are currently available bring GOTY fan favorites Grace, Isabelle, Saige, McKenna, and Nicki and their story worlds to life in such a fun new way. 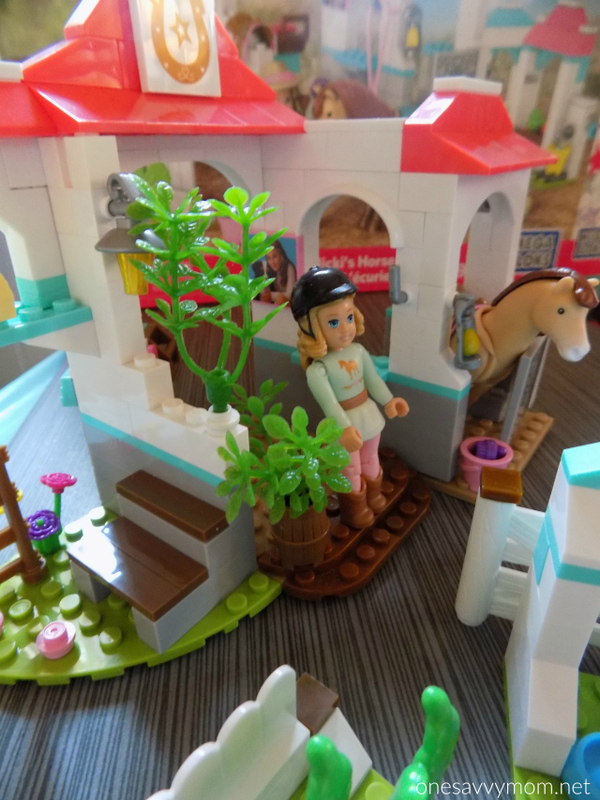 We had the chance to check out the Mega Blocks American Girl Nicki's Horse Stable set. My daughter and I were equally impressed with the details incorporated into this set. 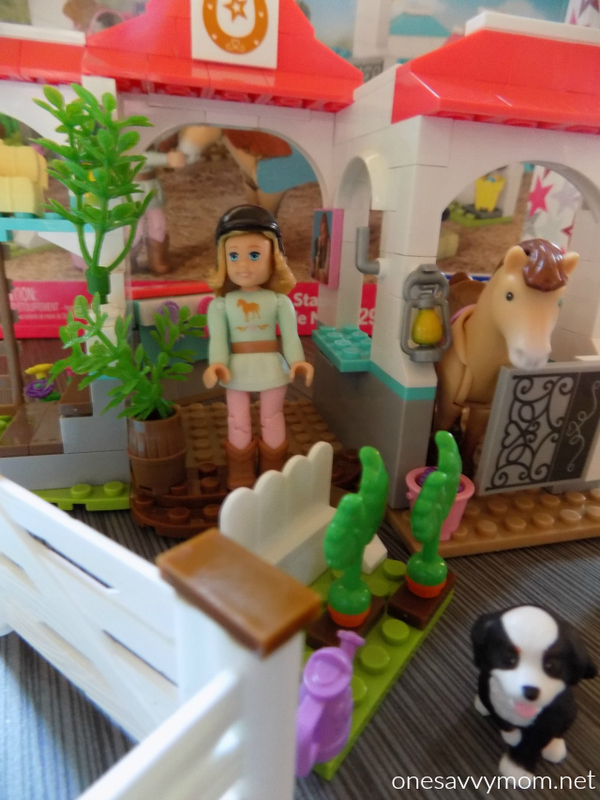 It came with everything needed to assemble the stable (with hinged gates, hay bale pieces, plants, lantern details and MORE! 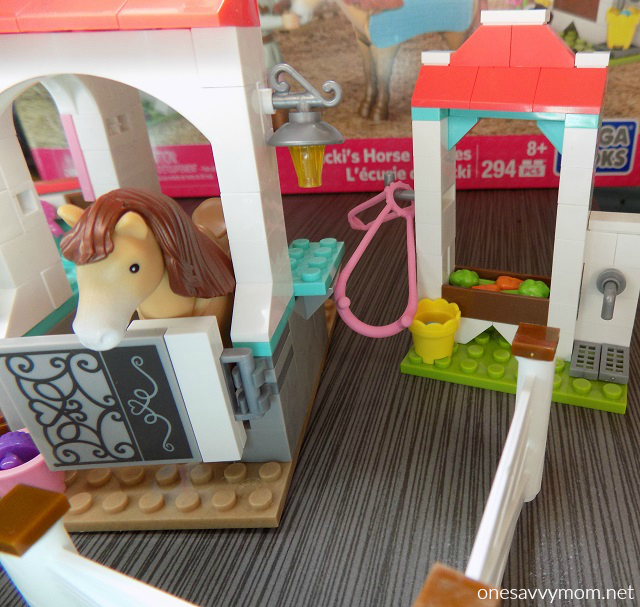 It also includes everything to set up a grooming/feeding area for the horse, a Nicki figure (complete with interchangeable hair & hat pieces/accessories), a horse with moving limbs, a harness for the horse, a horse saddle, small carrots, a water bucket/small brush to wash the horse, fencing, and so much MORE! See our images above and below of the set assembled - they really have included so many fun & intricate / realistic details for girls to explore through creative play! Each set comes with a detailed book of instructions for assembly, along with a back-story for the character included in the set. Mega Bloks American Girl products range in price from $3.99 to $69.99 and are currently available, exclusively through July 1, 2016, at Toys "R" Us in the U.S. and Canada (in-store and online). After July 1st, the line will expand into other U.S. and Canada-based mass retailers. *Disclosure: company sent a media sample for review purposes. All opinions expressed are our own.